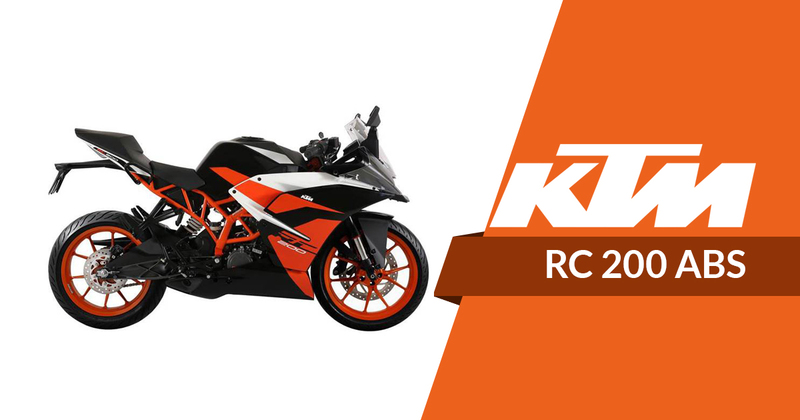 In the run of updating products with the government mandate ABS from April 2019, KTM India has also updated one of its product with single channel ABS, the KTM RC200. Earlier than this, the Austrian bike maker has equipped the Duke 200 with similar single-channel ABS sourced from Bosch back in November 2018. One of the most powerful entry-level supersports in the country, the KTM RC200 ABS priced at INR 1.88 lakh (ex-showroom, Delhi). It is about INR 9,000 more expensive over the non-ABS variant which is continued on sale at INR 1.79 lakh. FYI, the model will be available to purchase since outstanding stock run out. The bookings for the updated model has been commenced whereas a number of dealerships have started delivery of the same. Behind the massive fairing, the KTM RC200 is loaded with a 199.5cc, single-cylinder, liquid-cooled motor that is capable of generating the maximum power of 25.8 bhp and the peak torque of 19.2Nm from a mated six-speed transmission. While the suspension duties are under the supervision of a 43mm USD fork and a preload-adjustable monoshock. In its segment, it will face competition against the rivals such as the Honda CBR250R and the Yamaha YZF-R15 V3.0 ABS.